But Nikki isn’t just a good student. She’s also a pretty amazing judoka. And she is visually impaired. 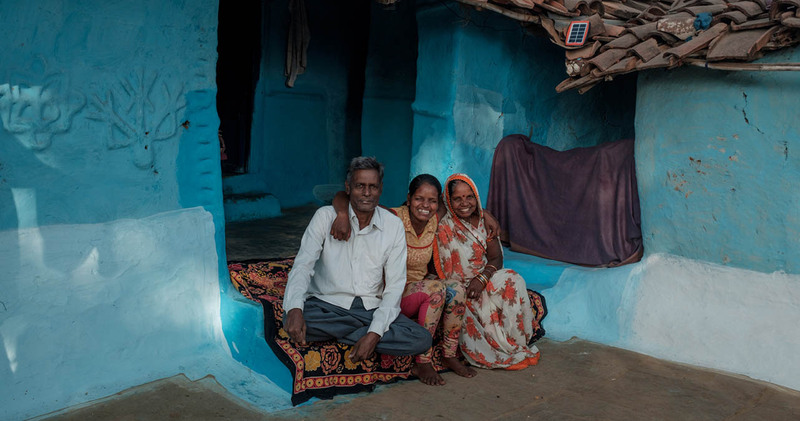 Nikki near her home in Madhya Pradesh. 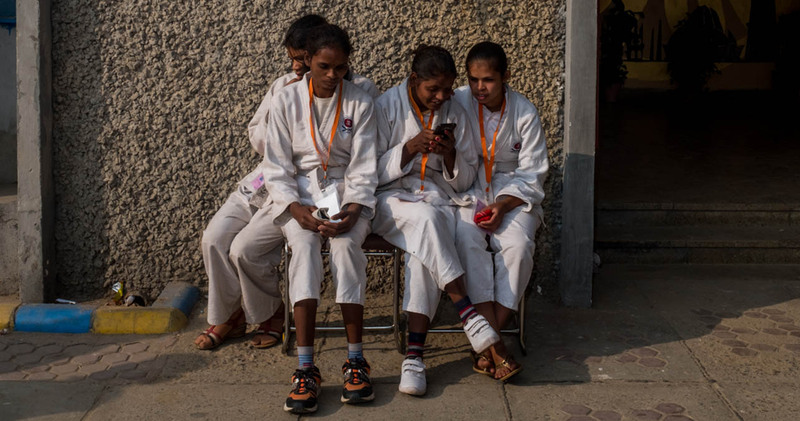 In 2014 in Madhya Pradesh, India, a group of young women with visual impairments started learning self-defence as part of a social inclusion initiative run by Sightsavers with a local DPO (disabled people’s organisation) called Tarun Sanskar. After starting with self-defence classes, the group started learning judo, and it turned out they were pretty excellent at it! They started competing – and winning – at national championships all over India. For many of the girls that meant travelling and experiencing other parts of India for the first time. Nikki, Babita (far left), Janki (left) and Sudama (far right) chatting outside the hall where the judo portion of the USHA Sports Championships for the Blind is taking place in Delhi. For Nikki and her friends, judo has opened up the world in more than one way. Madhya Pradesh state has the highest reported incidents of sexual violence in India. Young women with disabilities are especially vulnerable to attacks, so the judo skills the girls have learned have made a huge impact. They now have the freedom and independence to go outside their homes, visit friends and to go to school. 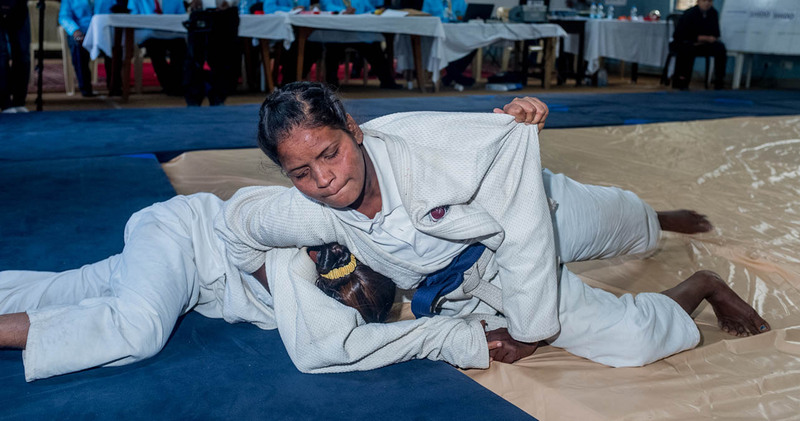 Nikki during one of her fights at the USHA Sports Championships for the Blind in Delhi. I like judo. Judo has changed me. Now I can go out, and if somebody wants to harass me, then I can use my techniques to save myself. Now I can go to school confidently. I can even go to the market. Nikki’s family are grateful for the difference that judo has made in her life too. : “We have seen a lot of change in Nikki after she joined judo,” says her father Kuwarlal. Nikki at home with her parents. After Nikki brought home a silver medal in one of the national championships, she started to gain attention in her community. Other young women, both with and without visual impairments, would come and ask her to train them. “Now people have started knowing me,” she says. Nikki has trained to become a self-defence instructor, and she is determined to continue to use judo to create a better life for herself and others.